I started with a simple composition book and ended up with this! I started with die cut chipboard & canvas to spell 'notes' as a focal point on my book, glued that down and then pulled out a bunch of alphabet stickers (all leftovers from Basic Grey POTM kits!) and applied them around the word. 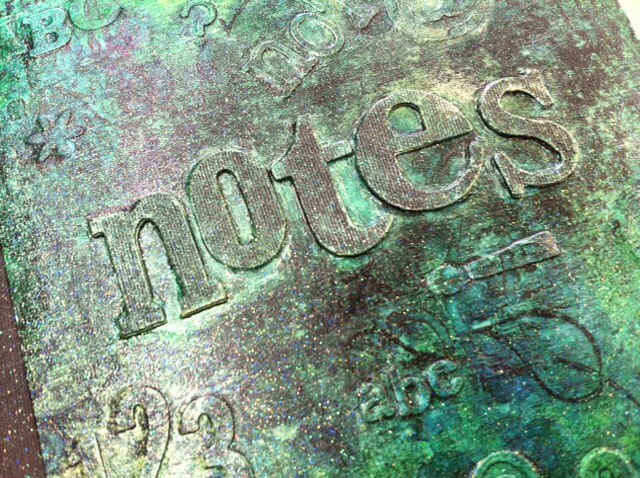 I mostly added "123" and "abc" along with some punctuation and the word 'notes' is on there a couple more times. Once I was happy with my arrangement, I covered the entire thing with 2 coats of gesso, followed by one coat of tan paint. 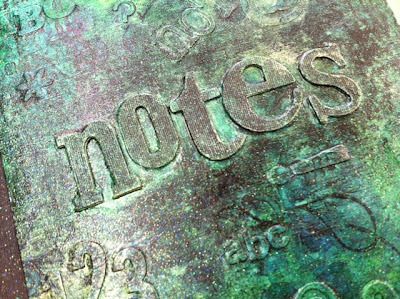 I knew I wanted to play with Dylusions sprays and that gesso would soften the colours... which is not the look I was going for :) Before spraying with Dylusions, I added some generous swipes of new metallic Distress Stains in Tarnished Brass. I focused on the canvas letters and a few other spots, then sprayed with shades of blue & green Dylusions. 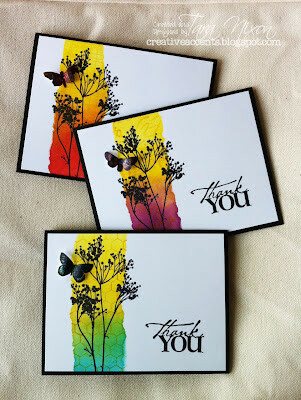 I love the way the Metallic Distress Stain mingled with the paints, adding a shimmery dimension to it! I continued adding more layers of paint, allowing it to mix & drip across the cover. 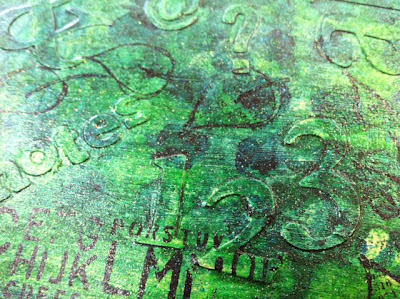 I sprayed a layer through a dot pattern stencil before finishing with a splash of black over the canvas letters. 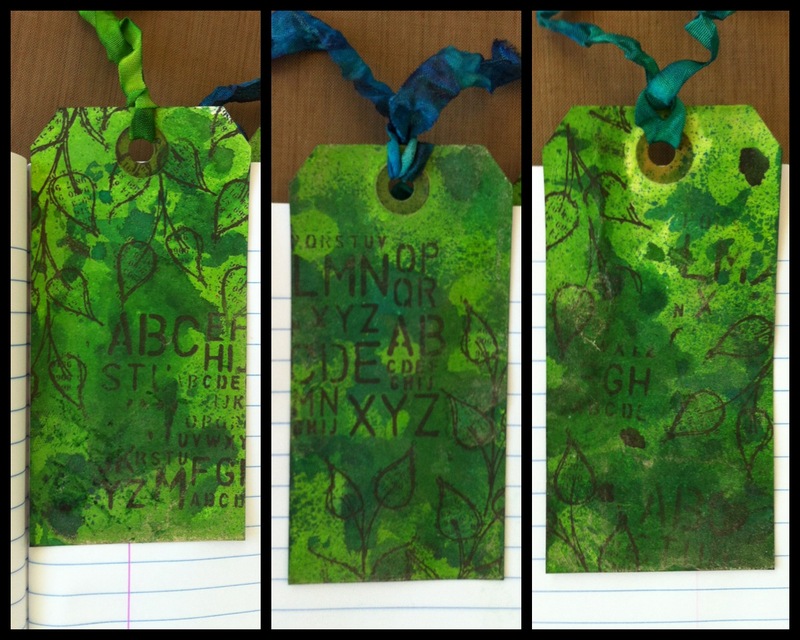 I dried with a heat tool and then stamped some Dylusions stamps with Black Archival ink- the alphabet text print and some leafy vines. 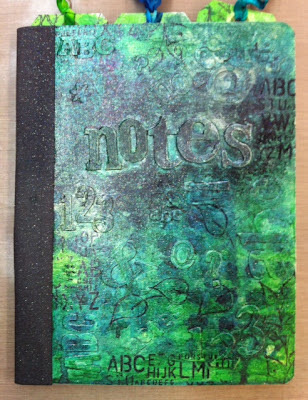 I finished it off by adding some sticky back canvas to the spine (inked with black Dylusions), then sealed my project with a layer of 'Spray & Sparkle' Iridescent Glitter then some 'Spray & Seal' varnish, both by Crafter's Companion. 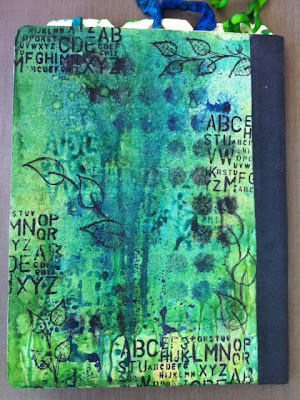 and here's a look at the back cover of the book- there are no layers of texture on the back, just paint, sprays & stamping! 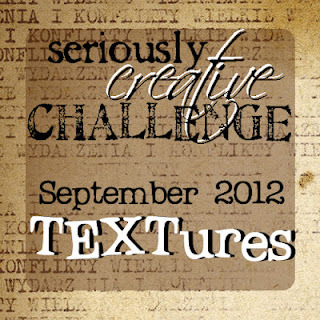 I hope you'll consider playing along with our challenge this month! 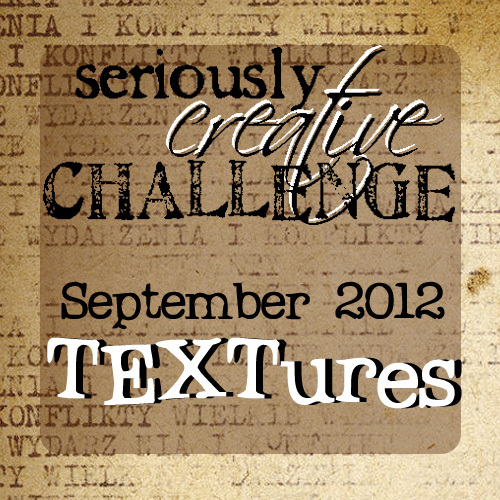 All the details are over on our Seriously Creative Challenge Blog! I saw this in the store the other day and it looks amazing. This is INCREDIBLE!!! I love it Tara, it's absolutely gorgeous! Hugs, Roxy. Such a clever idea to use the tags as dividers.